The other day Beloved Jaine was kindly nominated for a Liebster Award, and I am very thankful that it has been gaining recognition from you fellow online bloggers and followers. 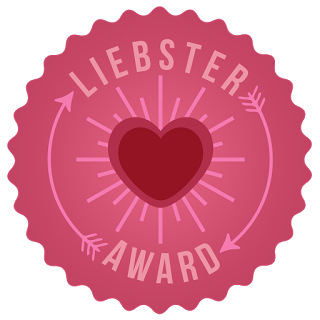 I'll be honest... at first I had no idea what the Liebster Award was so I did some research (as you do!). Turns out that this award only exists on the internet given to bloggers by other bloggers. It has German origins – the word 'liebster' has several definitions: dearest, sweetest, kindest, nicest, BELOVED (yes, I'm easily amused by this one) and seems to have been created to recognize and/or discover new bloggers and welcome them to the blogosphere... which is a great way to establish yourself and build a following in my opinion! Chloe from Chloe Wright Writes gave me the nomination and gave me a set of questions to answer. 2. Your house is on fire, your pets and your family are safe, what one item would you save? My phone for sure! I can’t live without it. 6. What is your least favourite colour and why? Orange…it doesn’t really go with anything does it? 7. Stealing this one - Favourite book? The Hunger Games Series!!! 10. You wake up and discover you're a ninja - what do you do next? Show off my impressive combat skills of course! 11. You need some 'me-time' what would you do? Have a pamper night whilst watching reruns of Keeping Up With The Kardashians… face mask, hair mask, nails, boiling hot bubble bath with candles and a glass of wine woo! 1. Have you ever faked being ill? Why? 2. Have you ever been in a car accident? 5. If you could change anything about yourself what would it be? 6. What was the last film you watched? 7. Are you a morning or a night person? 11. Where do you want to be in ten years time?